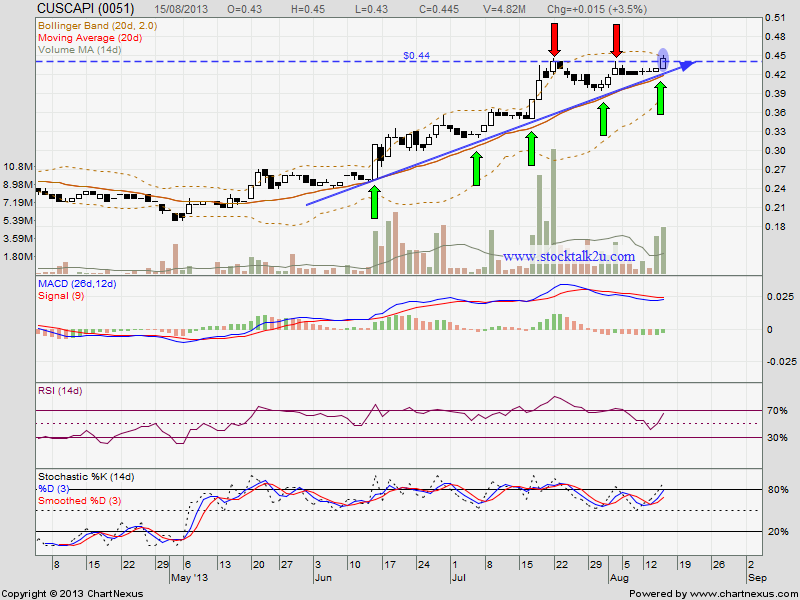 CUSCAPI succeed breakout RM0.44 resistance level ? It's an opportunity if retest support level. 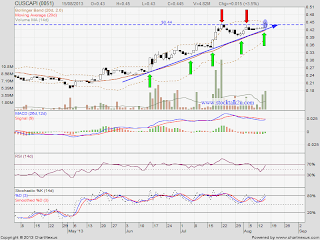 Immediate support @ RM0.44 level.